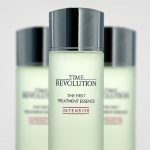 NEW Missha Time Revolution line 2019 – 4th generation! Hi everyone, did you have a nice and restful weekend? In Stockholm Sweden it was snowing like crazy this weekend brrrr. Oh well! 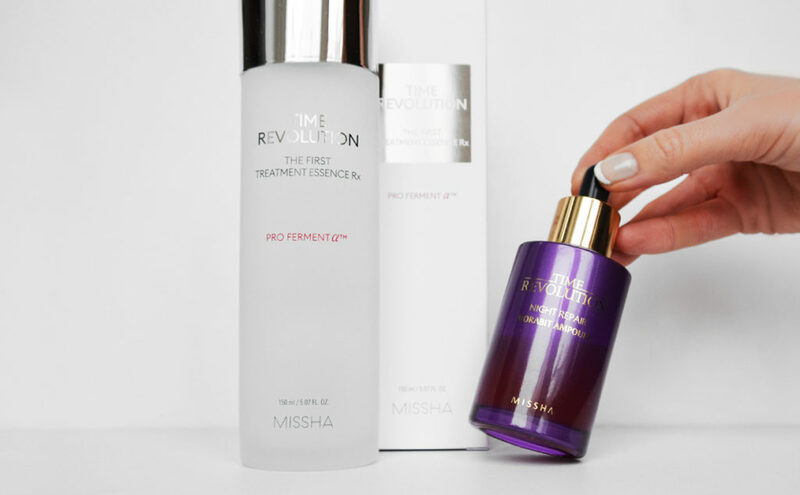 If you follow me you probably already know that one of my all time favourite holy grail products is Missha Time Revolution The First Treatment Essence. This was actually one of the first Korean products I ever tried and I’ve used it for many years ever since. By now in 2019, the 4th generation is here! I’m so excited! Let’s take a closer look. I just can’t live without Missha’s essence and I always have an extra bottle in stock for backup. 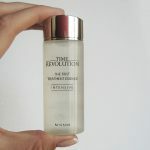 My sister also loves Missha Time Revolution The First Treatment Essence as it helped her to improve her skin a great deal as she got rid of her acne and pimples. 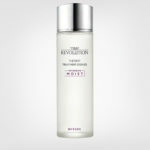 Over all, I would like to talk some more about the Missha Time Revolution line which I highly recommend by the way. 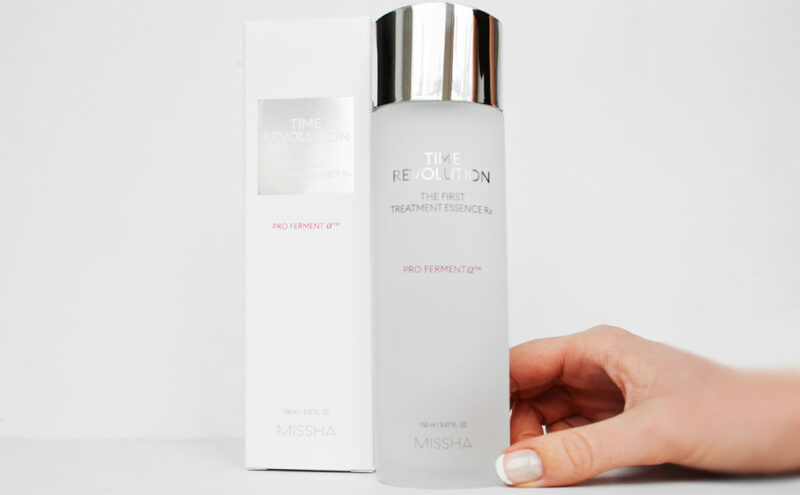 Have you seen the new Missha Time Revolution The First Treatment Essence 2019 called RX Pro Fermented? And the new serum is called “Probio Ampoule”. I’m so excitited about these new ones! 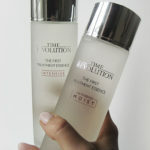 Missha Time Revolution The First Treatment Essence became insanely popular in Korea as a dupe for the lux and expensive SK-II Facial Treatment Essence. 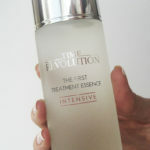 Missha Time Revolution The First Treatment Essence has been on top for many years ever since developing into several new generations, eg “Intensive”, “Moist” and most recently the “RX Pro Fermented”. The key ingredient is still fermented yeast extracts that nurtures, moisturizes and helps the skin’s cell regeneration. For a smoother and healthier looking skin skin with a natural glow. The essence is also targeting signs of ageing. 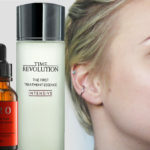 The new Missha Time Revolution The First Treatment Essence RX contains, among other things, 80% fermented yeast extracts, hyaluronic acid and niacinamide. Pro ferment α™ meaning Missha’s unique “Hot & Cold Double Fermentation Process”. 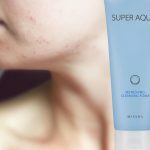 This helps to maximize the product absorption deep into the skin where the concentrated skin care ingredients become as effective as possible. 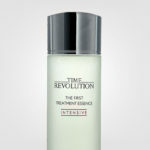 I can’t really put my finger on what it is with Missha Time Revolution The First Treatment Essence. This product basically looks and feels like water, no scent. But this I know. The skin becomes hydrated, more even looking and overall fresh and healthy. I used to suffer from small pumps on my forehead and pimples along the jawline. 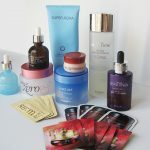 All of this disappeared within a couple of weeks when I started using Missha Time Revolution The First Treatment Essence. My sister testifies to the same amazing results on her acne. A bottle is a full 150ml and lasts for months. Just pour a few drops in your hands and pat the essence into the skin immediately after cleansing as the first essence in your skin care routine. Highly recommended by me. 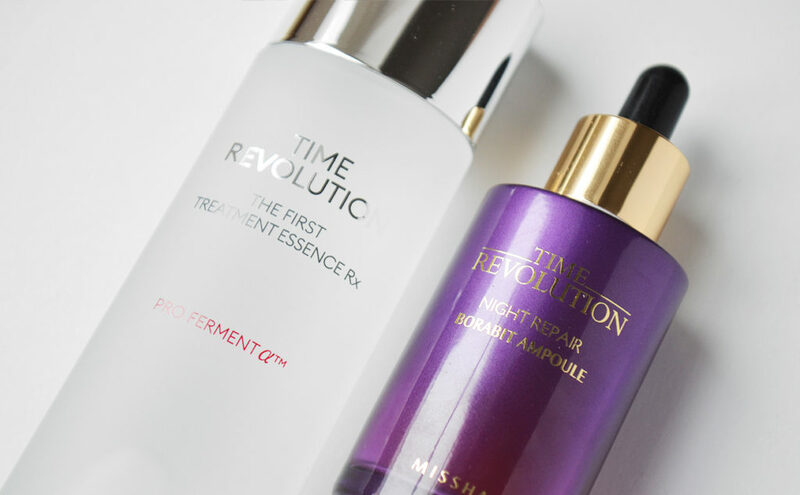 The anti-age serum in this line, Missha Time Revolution Night Repair Borabit Ampoule has also been updated and improved over the years. 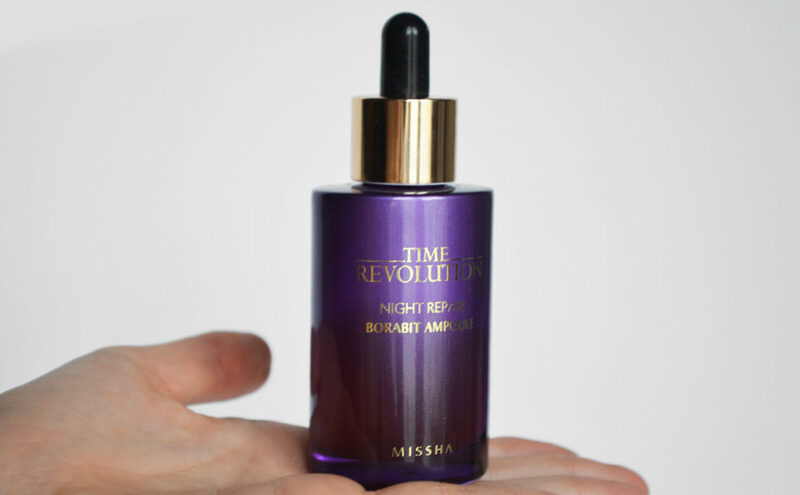 Missha Time Revolution Night Repair Borabit Ampoule was first launched as a dupe for the Estee Lauder Advanced Night Repair and I actually agree. I have tested both products side by side, see the whole test here. I currently use the bottle with the gold-lid and I experience it as somewhat more powerful than the former one with the silver-lid? Missha Time Revolution Night Repair Borabit Ampoule is hydrating and targeting wrinkles and signs of aging. It also strengthens and protects the skin. 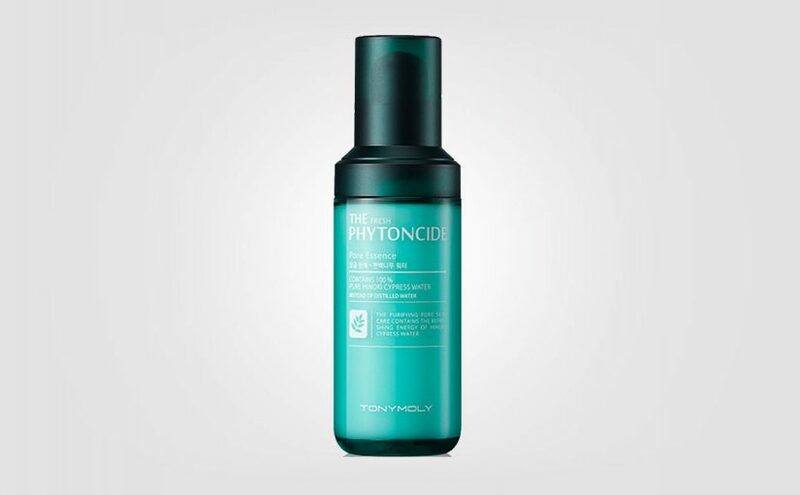 This is mainly a night serum as it contains retinol. 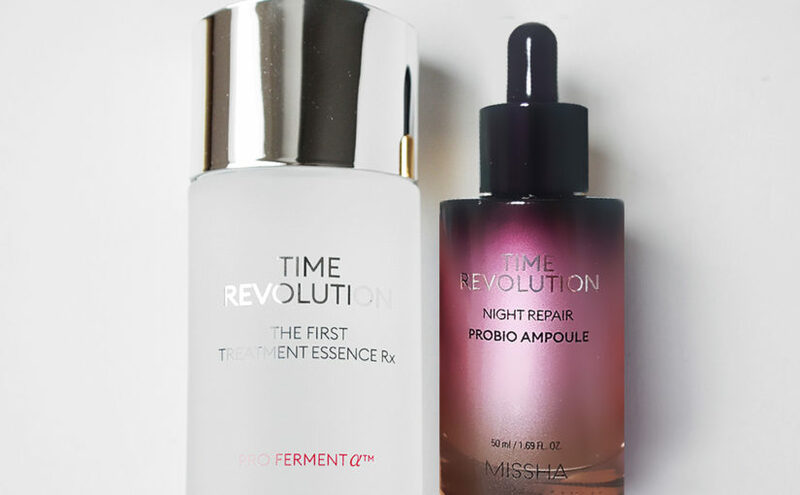 The new Missha Time Revolution Night Repair Probio Ampoule 2019. 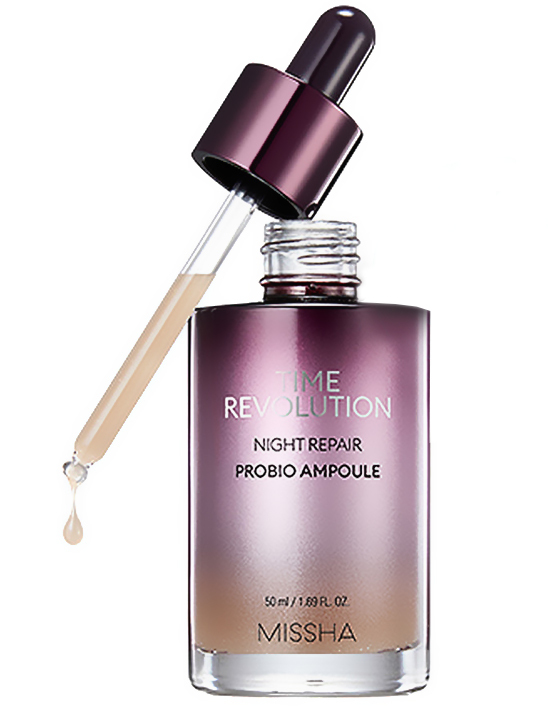 Have you seen the new Missha Time Revolution Night Repair “Probio” Ampoule which is the new generation?! 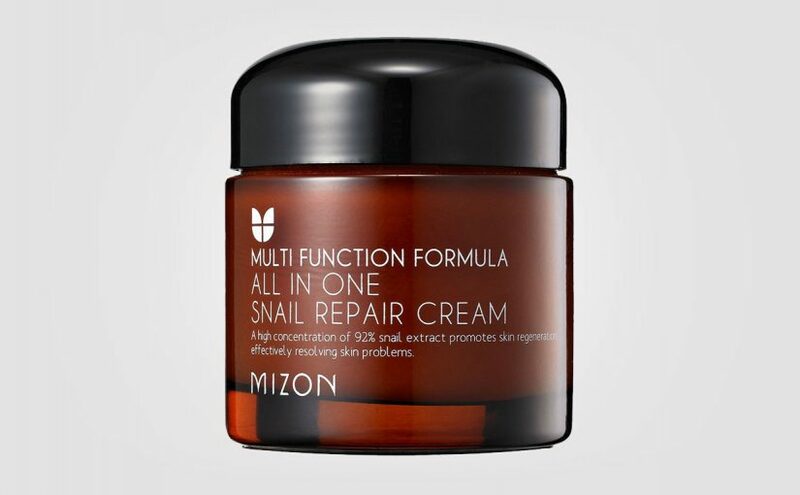 It contains 10 different Lactobacillus components targeting the damaged areas of the skin. 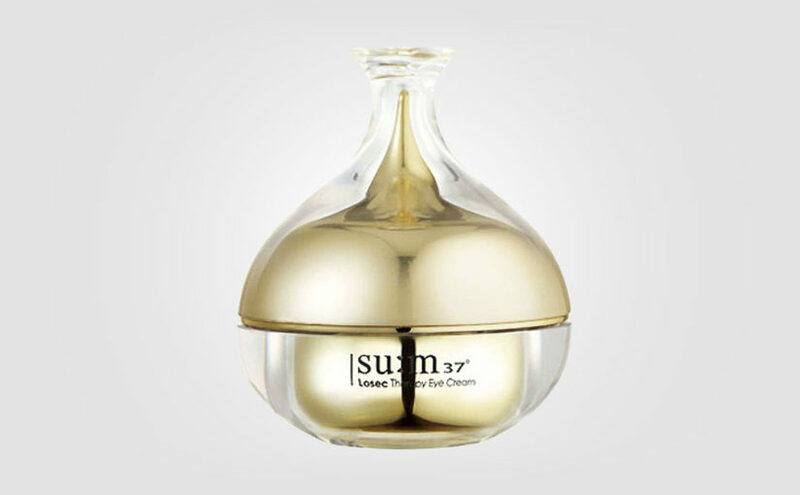 This ampoule is also produced by Missha’s unique double fermentation process, which allows the product to be more easily absorbed deeply into the skin. I just saw it on Ebay for 20€ right now! My first experience with Missha Time Revolution Night Repair Borabit Ampoule several years ago was amazing. I actually got rid of a wrinkle! I was just so impressed by the results and I was very surprised indeed. I was 35 years old at the time and my poor aging dry skin had finally recovered thanks to the Missha Time Revolution line. I find that Missha Time Revolution Night Repair Borabit Ampoule with the gold cap is even more powerful than the old silver one. I can sometimes feel some irritation and redness if I use too much of the serum every single night. A little goes a long way. Use in moderation and I wouldn’t apply the serum too close to the eyes as the skin is very delicate. 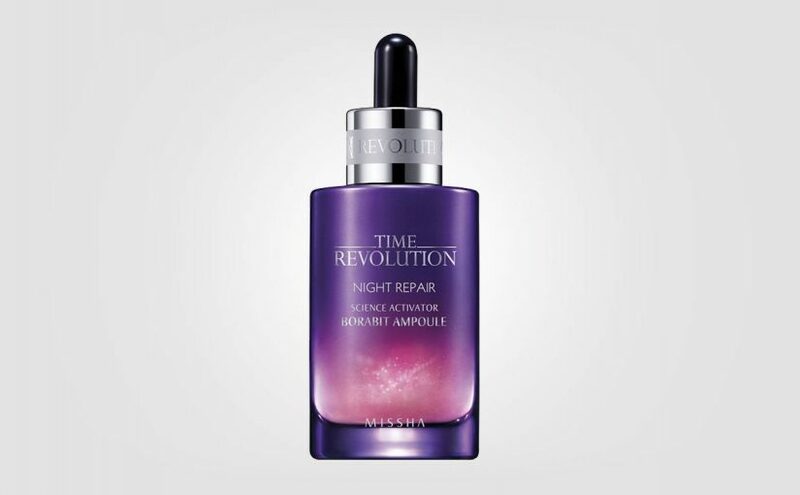 Missha Time Revolution Night Repair Borabit Ampoule is a powerful serum in my opinion and has the same key ingredients as the Estee Lauder Advanced Night Repair, namely Bifida Ferment Lysate (fermented yeast extracts). No luxury feeling or amazing fragrance unfortunately. But if you are curious about it or can’t afford the Estee Lauder one, then absolutely 100% worth trying in my opinion. The Borabit Ampoule costs less than 20€ so it won’t break the bank either! 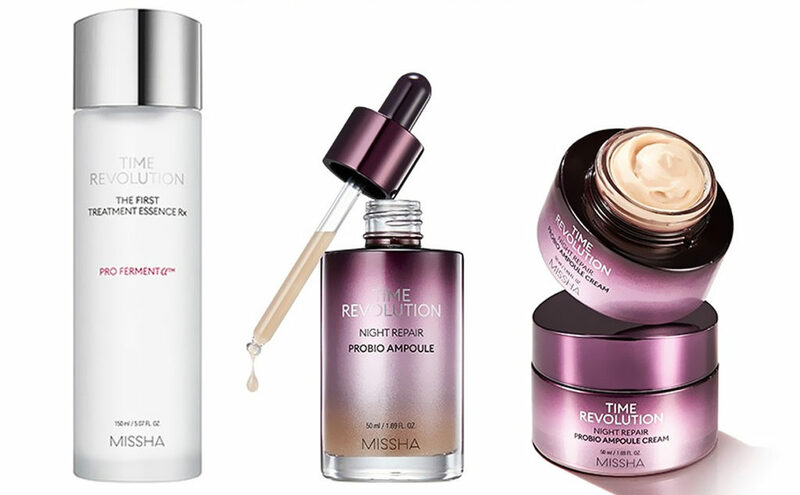 Have you tried any of the products from the Missha Time Revolution line? If so, which ones and what did you think? 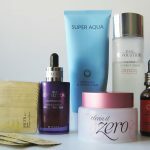 My Korean skin care routine, 100% Korean skincare! Ordering Korean skin care for my sister!